One of the more interesting items to come out of Intermot 2018 is the Forcefield Sport Suit. In contrast with Forcefield's other offerings, the Sport Suit is a one-piece, close-fitting garment designed to keep armor positioned exactly where it needs to be across your body. Although it looks kind of like a Starfleet uniform from Star Trek: The Next Generation, it has nine pockets for armor inserts rather than phasers and tricorders (I bet you could still get a phaser in there if you needed -JM). You can get CE1 or CE2 armor for your shoulders, elbows, hips, and legs, while CE2 armor across your back is standard. The idea behind keeping armor so close to your body in a one-piece suit is that this inner layer won't move much, unlike your outer layers that may allow armor to slide out of position. It's also easy to wash, which helps prevent your outer layers from getting nasty as quickly. The fabric used is a high performance, breathable base layer, specifically designed for use under regular motorcycle clothing, whether it's casual, textile or leather. That means that leathers will slide right on rather than get caught or wrinkle up other garments worn underneath. Alternately, the Sport Suit can also be used as a base layer for adventure riders, who may opt for the more lightweight CE1 armor rather than CE2. Racers, on the other hand, can stick with the tougher CE2 armor all around. You can also use the same suit for both purposes, switching out the armor plates if you choose. This one suit is designed to fit all types of riding, on or off-road, serious or casual, so anyone can make use of it. 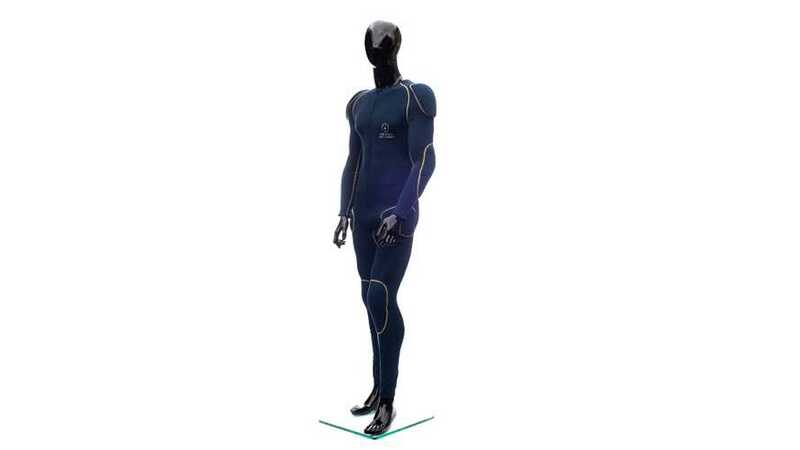 Unfortunately, the Sport Suit is not yet available on Forcefield's website, nor has a price been announced. As soon as we find out more you all will be the first to know.